Chelsea beat Manchester City 2-0 in December. However, it wasn’t their first victory over the Cityzens this season. 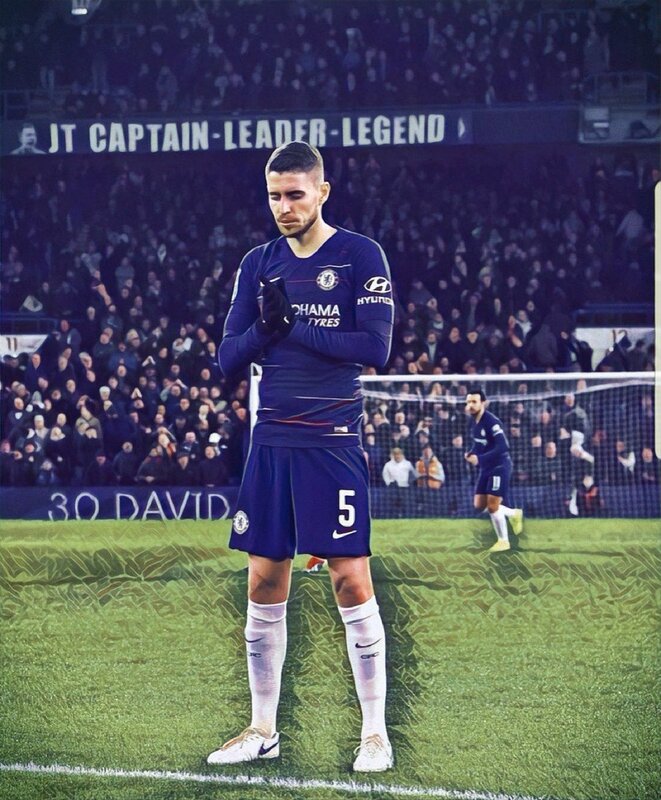 Winning Jorginho’s signature was the Blues first big blow to their rivals. Following the Italian’s £50million signing, the Chelsea faithful were united in welcoming a player expected to upgrade their midfield. That unity is no longer there. Pep Guardiola is a man known for carefully going after the very best players. Every player the Catalonian signs is one that’s worthy of delivering optimum quality. Consider Aymeric Laporte – the best ball-playing defender in the Premier League with 2,075 completed passes. Kyle Walker looks the toughest right-back in the League. Benjamin Mendy (when he’s fit) is arguably the best left-back in the Division. The same sentiments can be echoed for Ederson Moraes, John Stones, Bernardo Silva, Riyad Mahrez and the lot. So immediately Guardiola set his sights on Jorginho, the Brazil-born midfielder instantly became hot property in Europe. At least to Chelsea’s Marina Granovskaia. What did Guardiola see in the player? That’s no longer hidden knowledge for most Premier League faithful. The City gaffer saw a man who could control the game from midfield through crisp passing. He saw a highly technical and intelligent baller who can quickly digest and implement any tactic. It’s general knowledge that Jorginho has been instrumental to how football is played at Chelsea. The Blues are second to City in the Premier League in terms of ball possession (61.8% to 64.1%). The same for passes completed (17,025 to 16,734). Jorginho himself has completed the most passes in the League and has a pass accuracy of 90.2%. That’s the guy Guardiola wanted. An ever-growing section of Chelsea fans isn’t impressed with Jorginho. They’re worried he’s yet to register an assist despite a couple thousand passes completed. That section of the Blues support also consider Jorginho lightweight; easily outmuscled and prone to making catastrophic howlers when faced with pressure. That much was highlighted in Chelsea’s 4-0 routing at the Vitality by Bournemouth. Here’s a man being singled out for Chelsea’s recent dip in form. Not the midfielder. Jorginho won’t get fired for presumably playing poorly. The man in the middle of the storm is a certain Maurizio Sarri. Coincidentally, Sarri coached Jorginho last season at Napoli. It’s believed the Italian tactician was pivotal in Jorginho’s decision to move to the English capital. 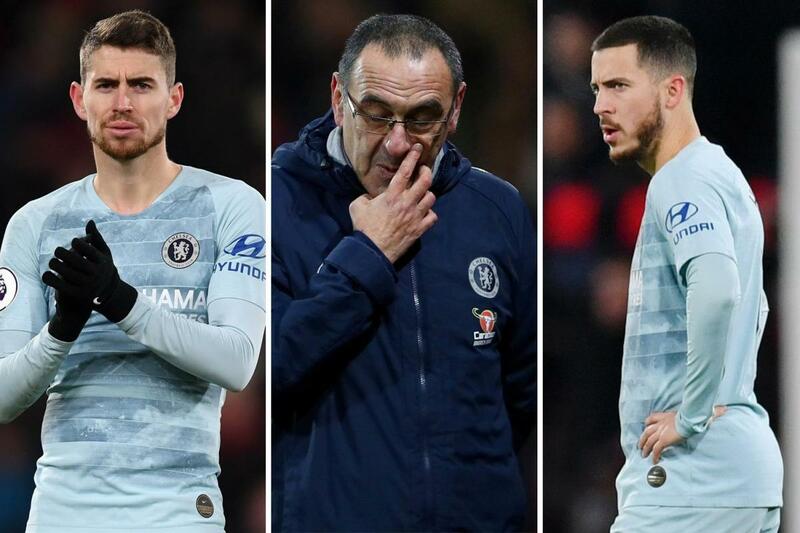 Sarri is the reason why Chelsea play the way they play; passes and all. Jorginho is just an important tool in what’s well-known as Sarri-ball. It’s a system that has revolutionised Chelsea’s style. The major and most eyeballed change with the new system was in moving N’Golo Kante to the right of midfield. Meanwhile, Jorginho was allowed to operate from the centre, deep in midfield where Kante is king of the world. The tweak allowed to Kante venture forward, score goals, and do the dirty work in the opponents’ half. On the one hand, Jorginho was to pull strings from midfield, control the games’ tempo and break up play when needed. It worked. Chelsea’s 18-game unbeaten run to start the campaign gives credence to the notion. But the happy days didn’t last long. Chelsea has become too inconsistent and the fans aren’t happy. Still, Sarri has stubbornly stuck to his guns. Kante continues to play away from his natural position to accommodate Jorginho. The Frenchman doesn’t seem to mind; he’s enjoying the best goalscoring campaign of his career. For Jorginho, fans opinion remains divided. He’s had his bad days, but the stats say he’s doing his job just as effectively as any top midfielder would. What side of the fence are you on? Most passes in the Premier League. Most forward passes in Europe's top 5 leagues. Played most through-balls in the Premier League. Won possession in the midfield third more than any other player in Europe's top 5 leagues.